Real Estate CRM is the handy CRM software for Real Estate Developers that focus on customer’s best interest. IT AAKASH StrategicERP has launched a brand new CRM software i.e Real Estate CRM V.18.2 for SME's Real Estate. CRM for Real Estate is a web-based and mobile based start to end CRM solution that satisfies all the requirements like automation of everyday sales tasks, improvement in customer service, enhanced communication etc. of SME’s real estate and construction industry. It provides quick and higher ROI to SME real estate. Key factors of Real Estate CRM facilitates storage of leads with proper information, timely follow up of potential leads, increase in ROI with lead analysis, and identifying prospect needs. With all the factors supported in StrategicERP's CRM for Real Estate software ensures agility and productivity in your daily sales tasks. CRM makes sure that you are following up your leads at the right time so that you can strengthen your sales and take your organization growth to the next level. B2B CRM set up on the cloud technology with user-friendly dashboard gives way to your employees to improve their analytical skills and allows them to close the most potential leads. 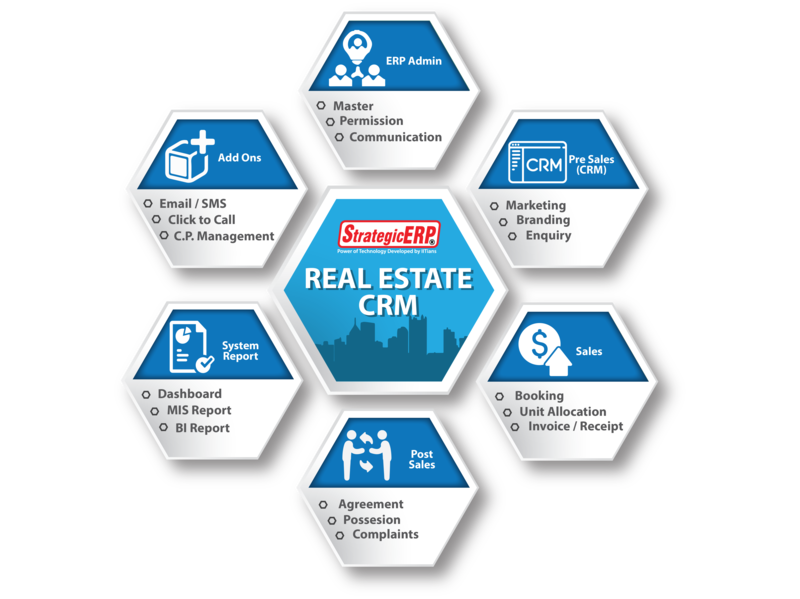 Real Estate CRM, developed by StrategicERP especially for the Real Estate industry, enables your organization to adapt to the fast and efficient way of using technology to maintain your client relationship and boost the sales performance. CRM for Real Estate allows you to know your customer better and form new strategies for your sales team. Helps to define Project & Sub project details like total sale area, basic rate, floor rise rate & even payment schedule. Maintain the records of enquiries received through telecalling and other sources. Helps to track the follow up done. Manages all Sales activity like creation of the customer ,allocation of unit collection of receipts, allocation car parking etc. Manages all post sale activity like sales follow up, cancellation of unit, transfer of unit,refund etc. Manages all Post sale activities like Sales follow up, Agreement, Possession, Cancellation, & Transfer of unit. 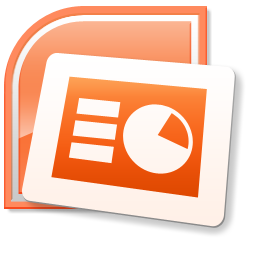 Generate the reports of all module at one place, it’s a centralized module for all the reports . Ready integration with Email & SMS for bulk Email and bulk SMS. 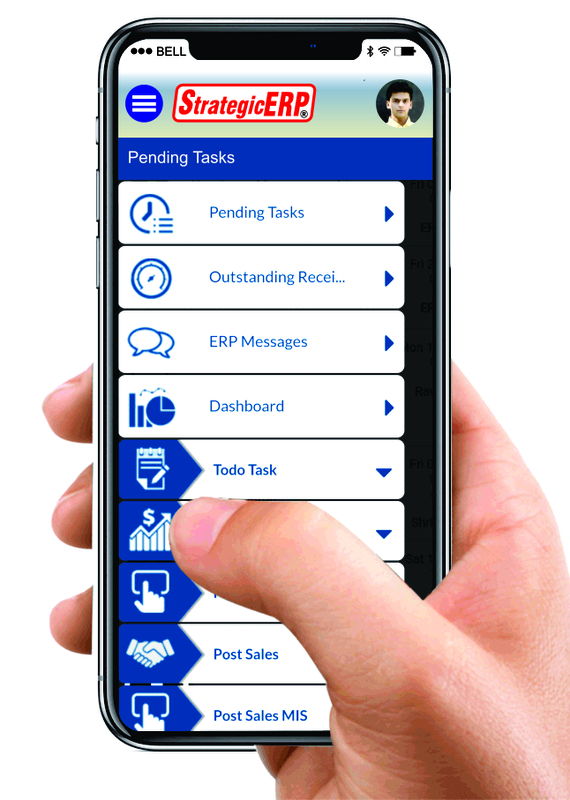 Integration with Click to Call for Incoming and outgoing calls. Common platform for all channel Partners throughout the organization. Simplifed and affordable web based CRM software. Manage Leads, Customer Data, Sales and post sales activity. Clear focus on least implementation duration. Scalable solution to drive growth of SME's to large unit. Work Flow & Dashboard Visual Reports.